16 MB, 32 pgs, 960 x 640 pixels. 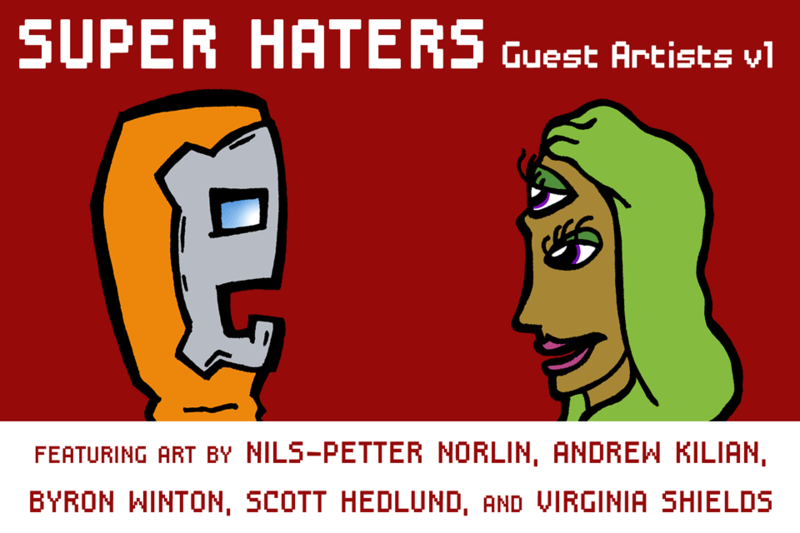 Five outrageous Super Haters short stories starring Mind's Eye and Destruct-O-Tron. 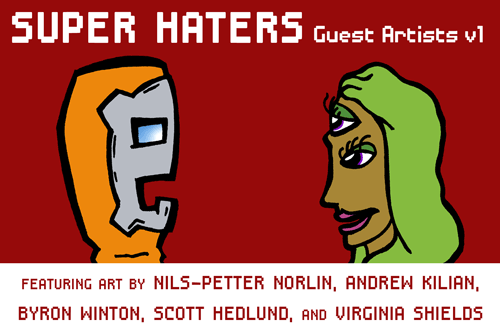 Featuring awesome art by Nils-Petter Norlin, Andrew Kilian, Byron Winton, Scott Hedlund, and Virginia Shields.